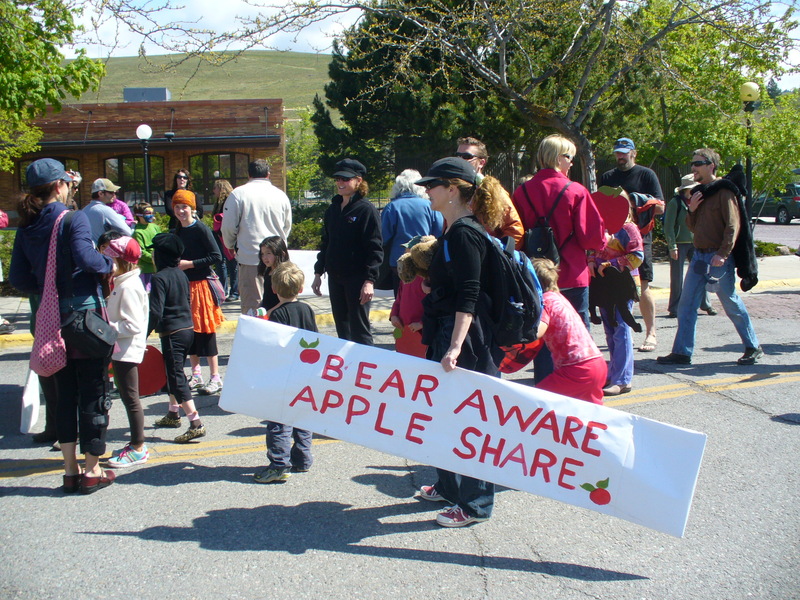 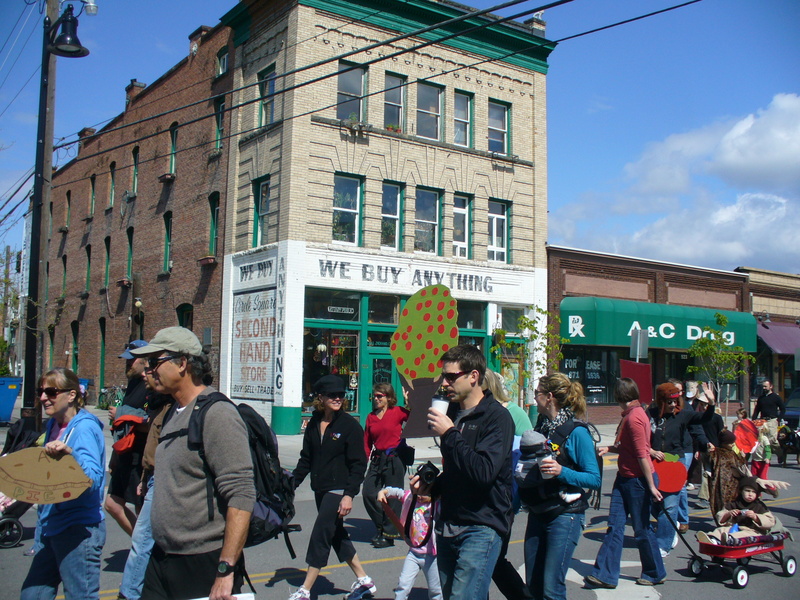 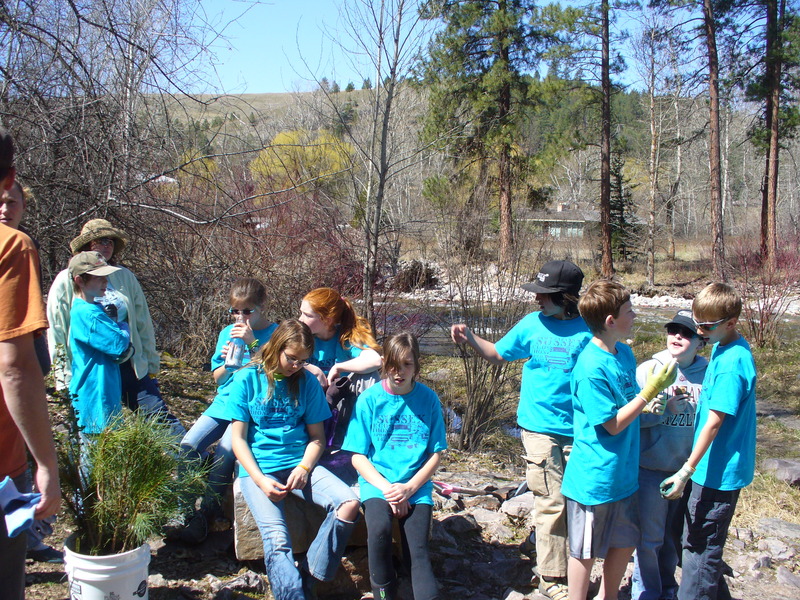 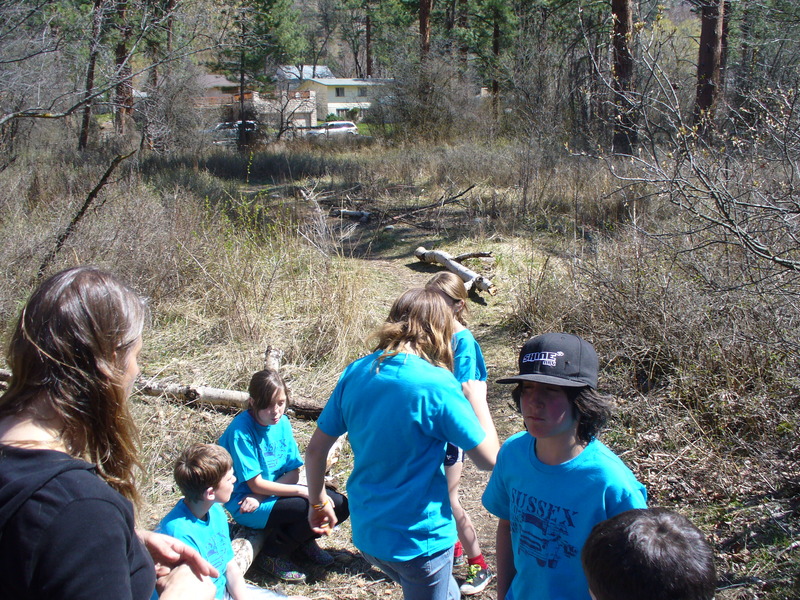 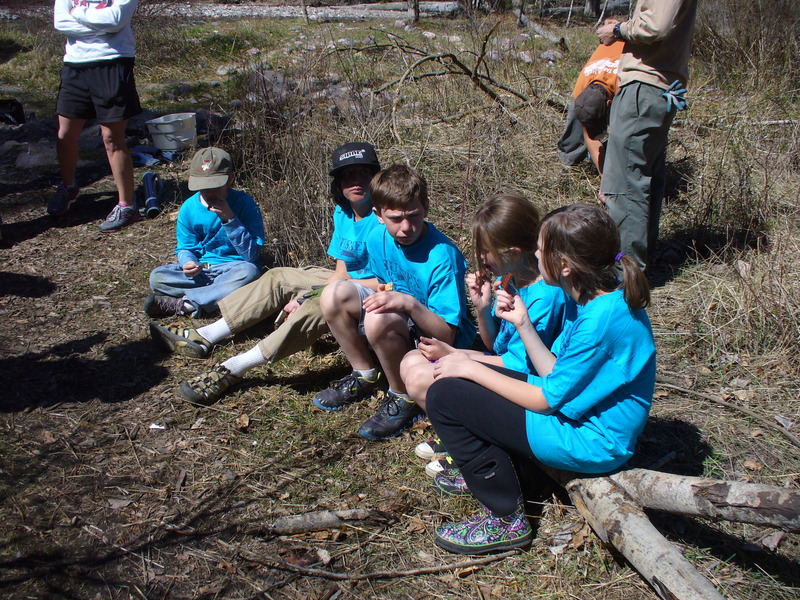 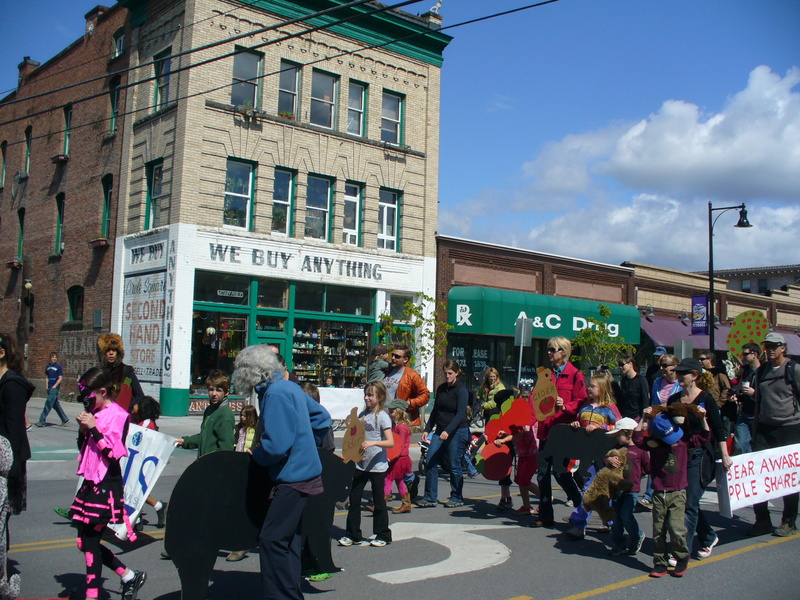 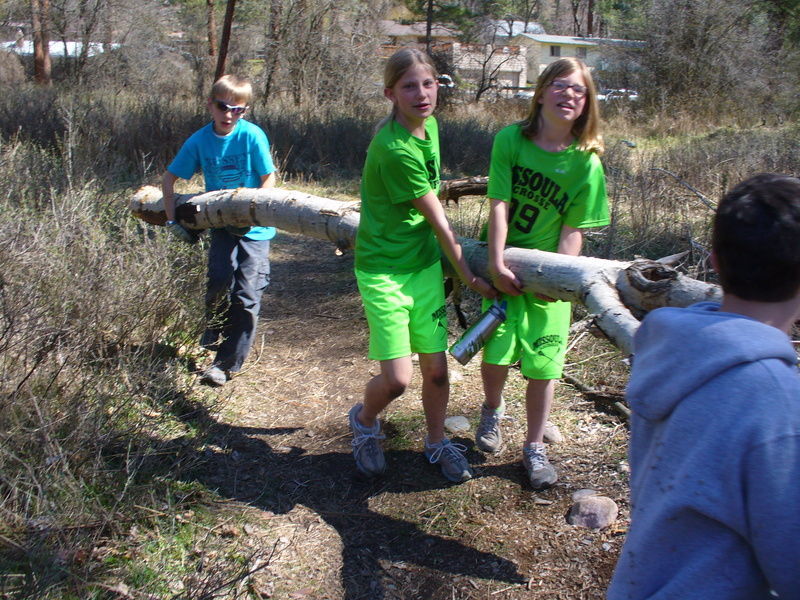 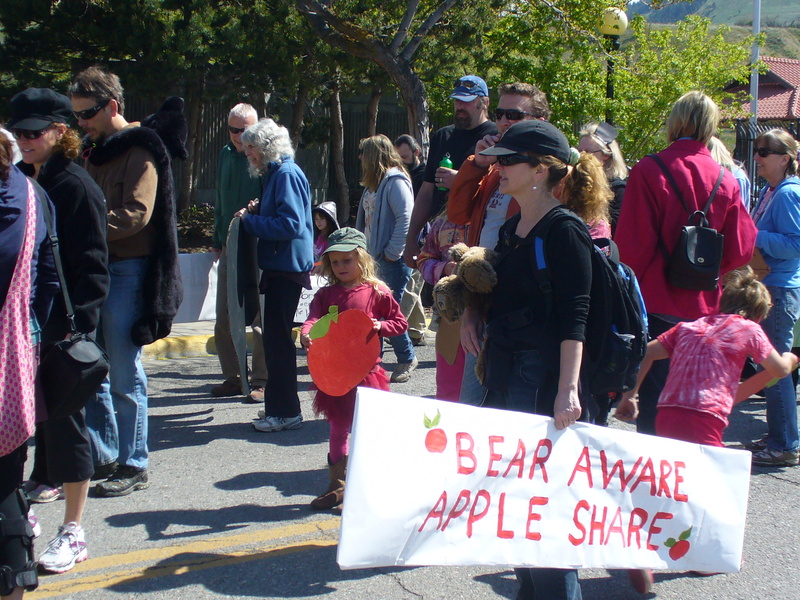 Missoula International School at the Wild Walk promotes “Bear Aware/Apple Share” on May 6th, 2012. 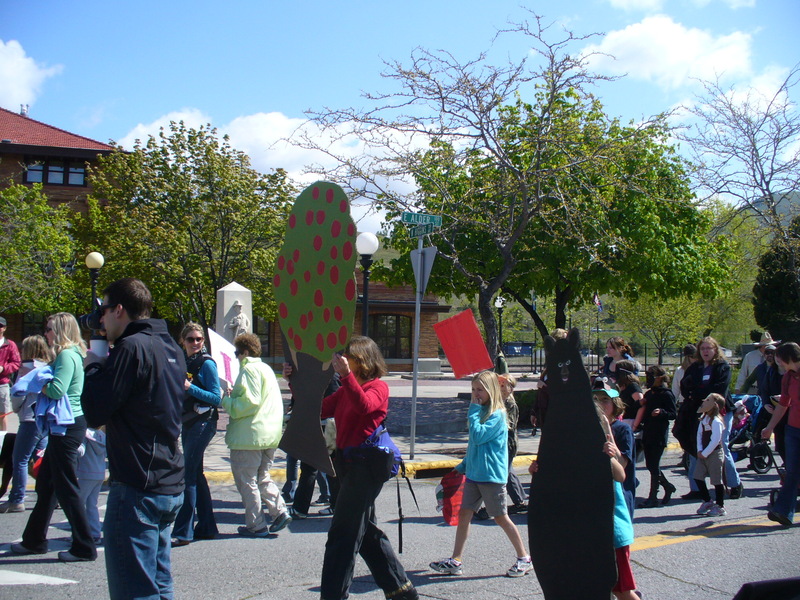 Thanks, MIS!! 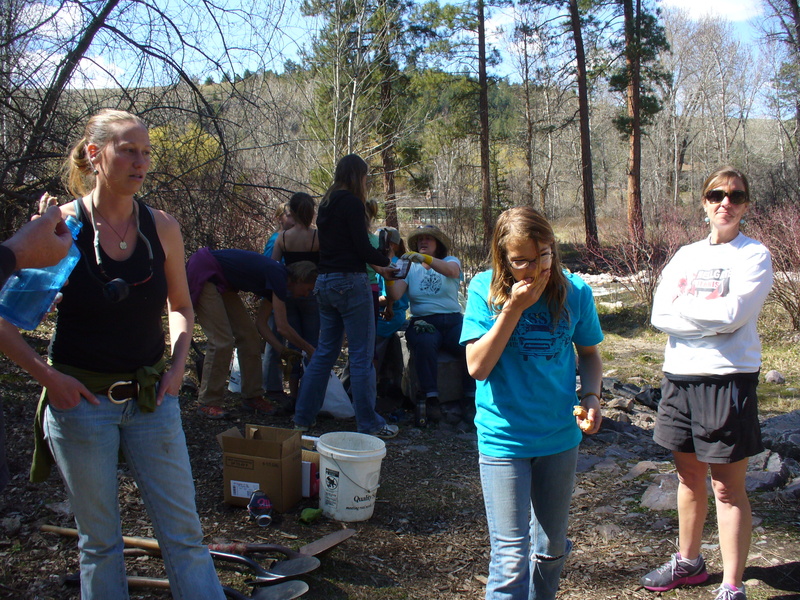 restoration planting and invasive weed removal at Bugbee Nature Preserve. 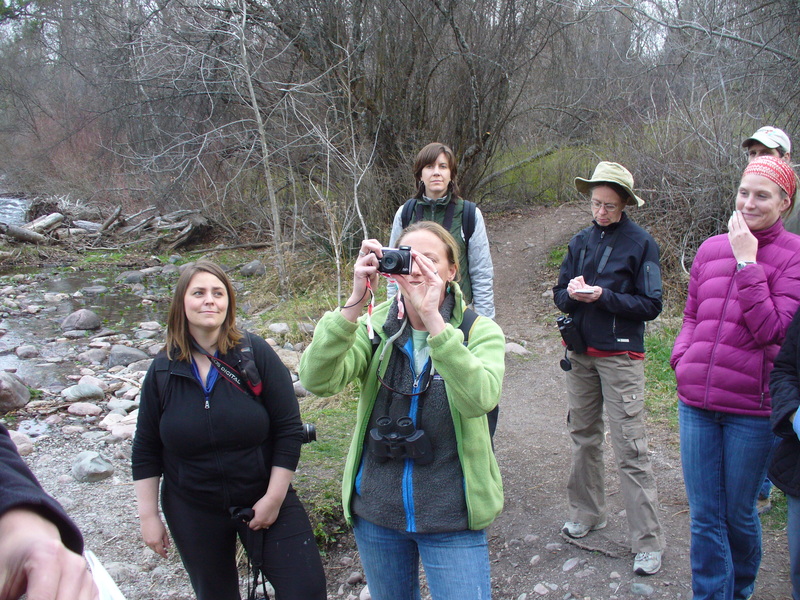 Our first in the series of three workshops “Wild In Our Backyard” was a success as we walked Greenough Park with experts on plants, birds, fish, and bears learning about our wonderful watrershed. 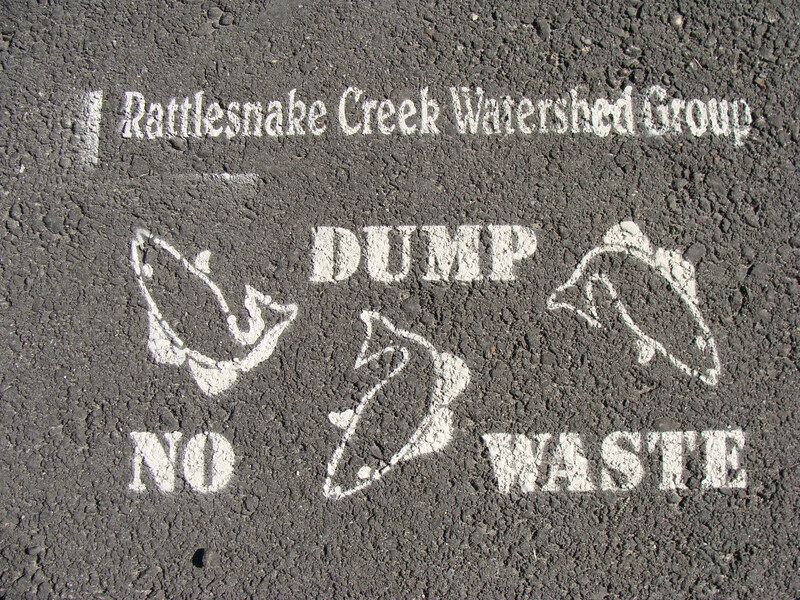 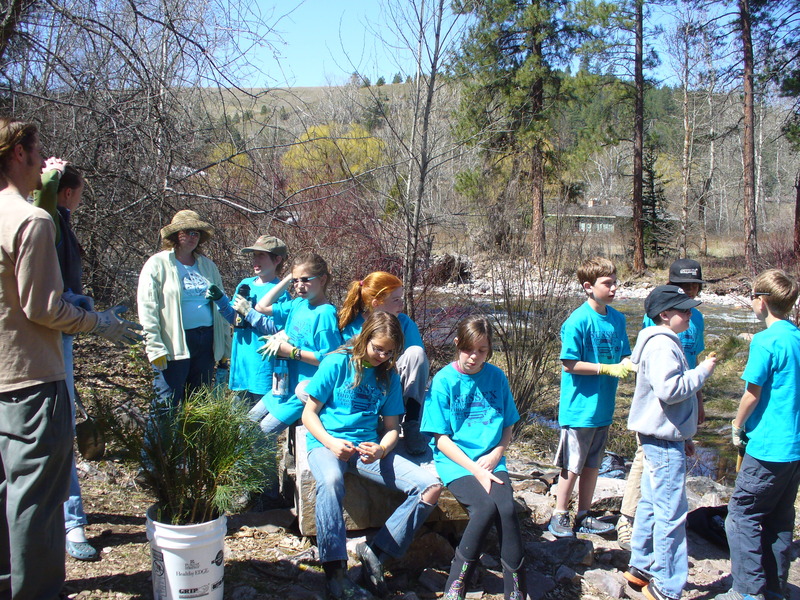 Great work and thank you to all the local school classes, including Missoula International, Rattlesnake Elementary, and Sussex schools, who are helping raise awareness about where our storm drains travel and what they can carry into our aquifer, Rattlesnake Creek, and the Clark Fork River. 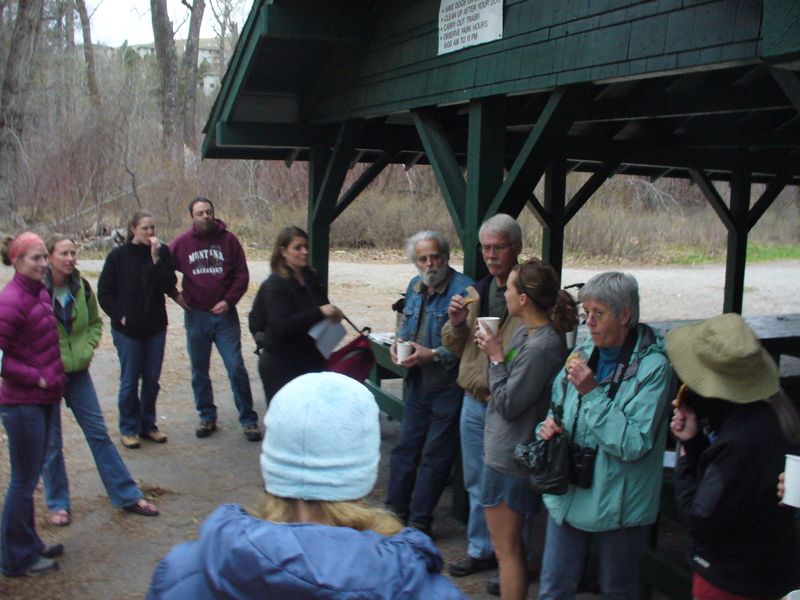 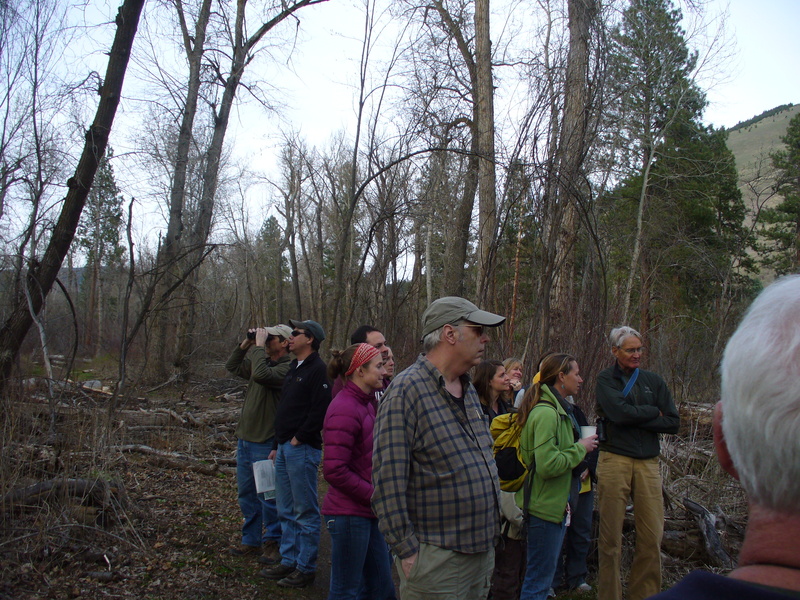 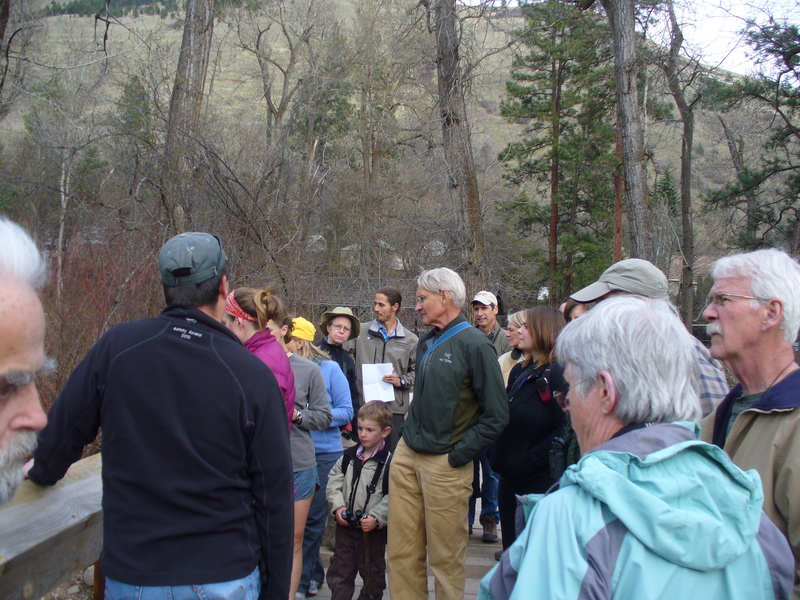 We had a great turn out for our third annual fish ladder tour on Friday. 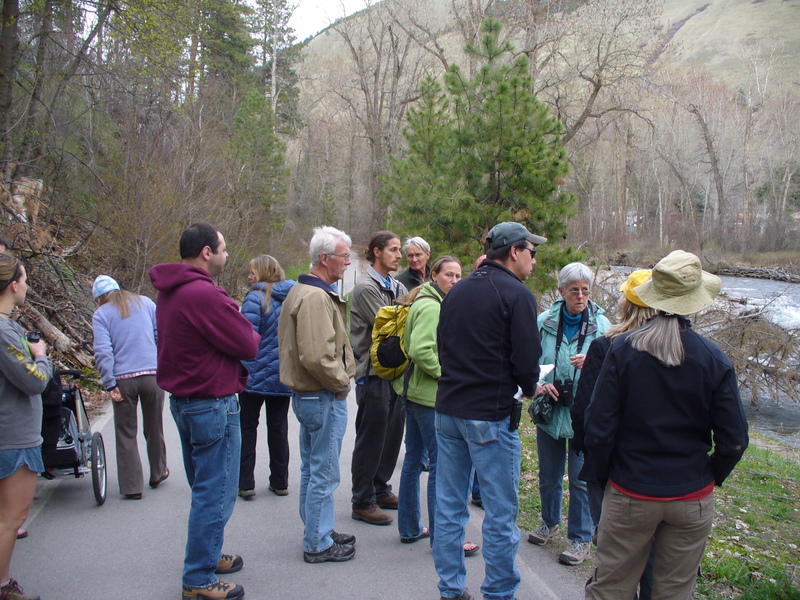 Thanks to all those who joined us to tour the fish ladder at the Mountain Water Company dam on Rattlesnake Creek and learn more about our watershed! 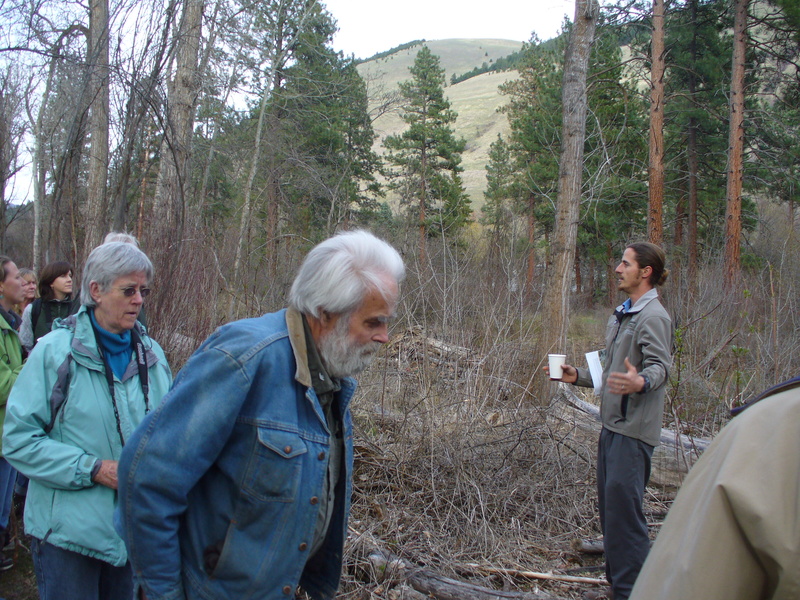 Special thanks to Ladd Knotek, Montana Fish, Wildlife, and Parks, for taking time to share his knowledge about westslope cutthroat trout, bull trout, other aquatic species, and the interworkings of Mountain Water Company’s fish ladder on Rattlesnake Creek. 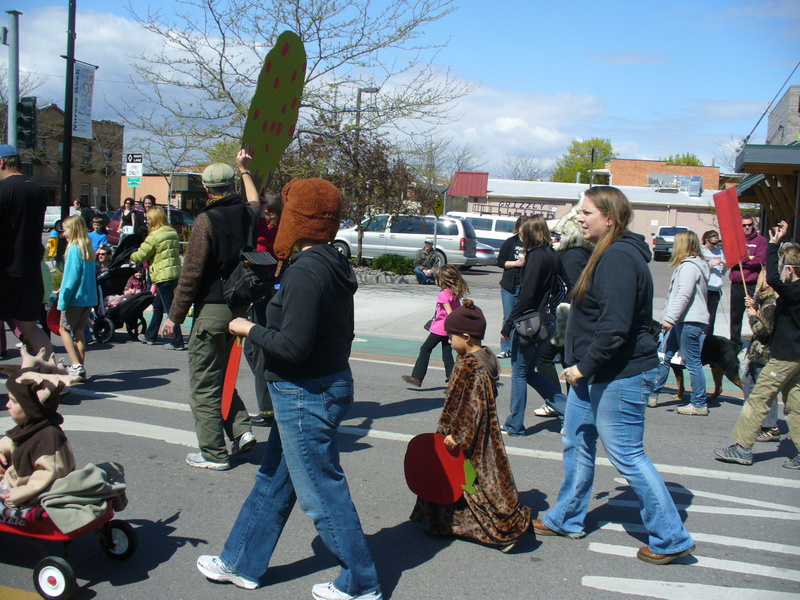 Special thanks also to KECI and the Missoulian for their coverage of the event.